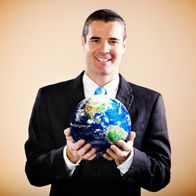 International Automated Brokers has been serving the needs of importers and exporters for more than 25 years. Prior to starting International Automated Brokers, our founder, Carolyn Goding, worked at U.S. Customs as an Import Specialist for 16 years. Her education, experience at Customs and passion for helping businesses succeed enabled Carolyn to build IAB into a successful, uniquely service-oriented, compliance brokerage. Over the years, we have worked with importers of all types and sizes and our extensive experience includes the full gamut of import/export goods, including textiles and clothing, electronic components, security systems, food and alcohol, intermediate materials, and many others. With experience that includes working with start-ups, shelters, and Fortune 500 companies, we understand that each importer’s needs are unique. We have three licensed Customs Brokers on staff as well as an attorney and a Certified Customs Specialist to provide the specific cross-border supply chain management solutions your business requires.